How obscenely ironic. Embassies historically symbolize diplomacy and peace. 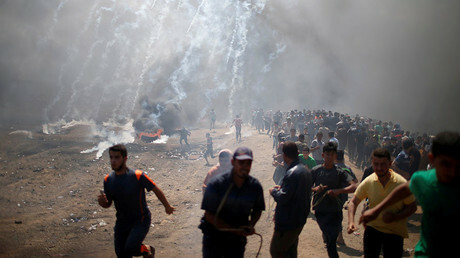 The opening of the US Embassy in Jerusalem was occasioned by a grotesque baptism of homicide of Palestinians, heralding wider warfare within the Center East.